With our home in the picturesque village of Stock, in the heart of Essex is it any wonder why we absolutely love stocks. For me they remind me of the start of spring and the fun times of summer that are just round the corner. 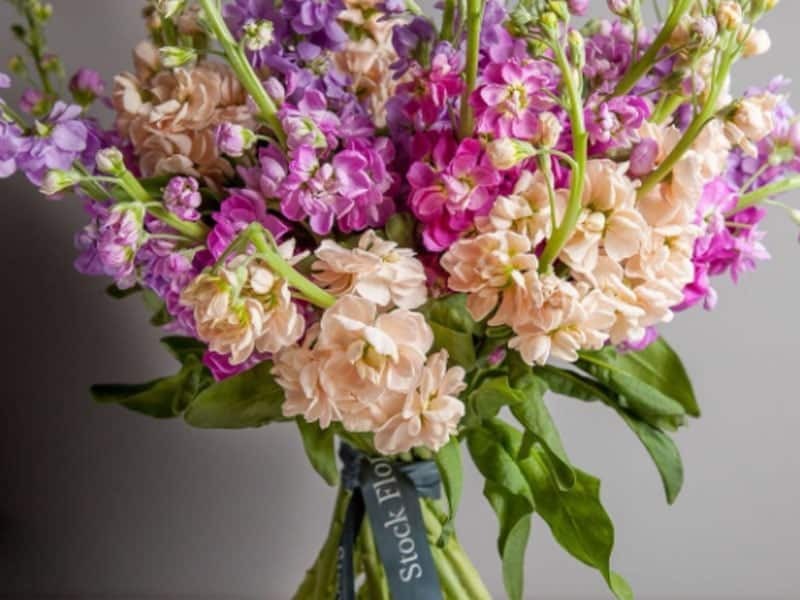 They are one of the best smelling flowers and available in spring and summer and will bring any kitchen or front room alive with their beautiful aroma.. Matthiola Incana is their latin name but we thought that was too much of a mouthful to call a flower shop! Named after Italian botanist Pietro Andrea Mattoli who discovered them in the 1500’s and a distant relation to the cabbage family. These definitely got the looks of the family. Sometimes called the Gilly flower and a delight to see growing in british gardens in summer. A signature flower for Stock Florist and seeing used more and more in our bridal work they really are a dream to work with. They also represent lasting beauty and a happy life. Easy to maintain with an angled cut of the stem, a vase of fresh water they are a beautiful addition to your home.